NAO warmly welcomes new Nepali members to the organization. We hope that together we strengthen and preserve Nepali cultural heritage and a social bonding among the members of the Nepali community in Oregon and South West Washington through a strong network of support. 1. 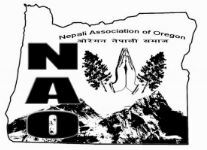 Send an email to nepaloregon-subscribe@yahoogroups.com with subject line “Join NAO Mailing List”.